Stephen Ippolito captured a rare moment as a seal poses amidst the Milky Way. A photographer was taken by surprise during a routine session when a seal emerged from the darkness and made an unexpected appearance amidst the backdrop of our Milky Way. "I was in shock," Stephen Ippolito of Glastonbury, Connecticut, told ABC News today. "I've never been anywhere near a seal, so I didn’t know how close I could stand next to it. "After a couple minutes of thinking what to do, I said 'Maybe I can get a picture of him under the Milky Way. That'd be pretty cool.'" It was the night of August 14 when Ippolito said he went out to snap some photographs while vacationing with his family in Sand Beach, Maine. "I'm really big into night photography," he said. "If you want a picture of the Milky Way, it's called astrophotography. The optimal time is to do it when there's little or no moonlight, so during the new moon. "That’s when the stars and the Milky Way are the brightest." 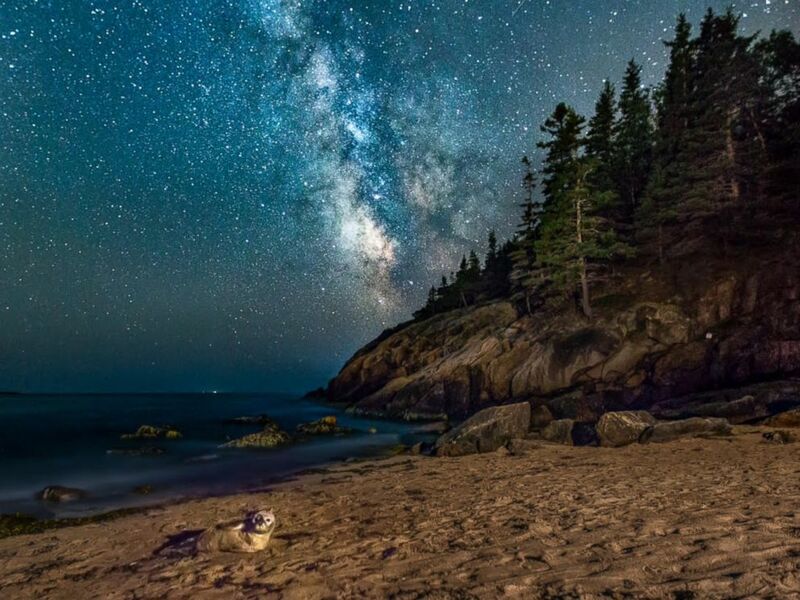 As he photographed the sparkling sky, Ippolito said he noticed a seal lying on the beach. He then shined a light on the animal, and began shooting it beneath the galaxy overhead. "I was hoping to get pictures of a Milky Way, but a seal -- that’s a once-in-a-lifetime thing," he added. "I've never seen a picture of a seal with the Milky Way before. It was a unique experience." While he has no major plans for his photo as of yet, Ippolito said he's happy to share it with the world.